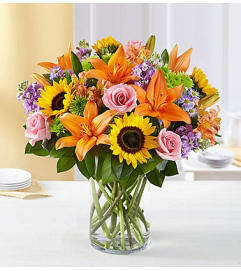 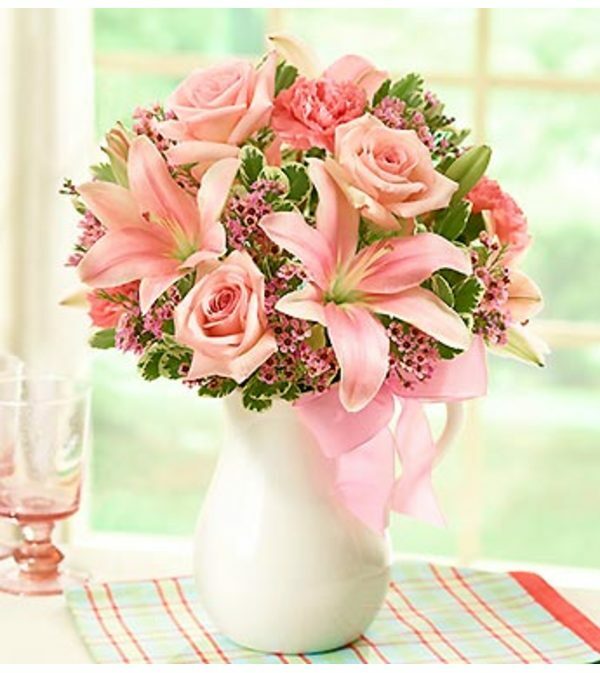 Let pink perfection permeate their day with our truly original arrangement. 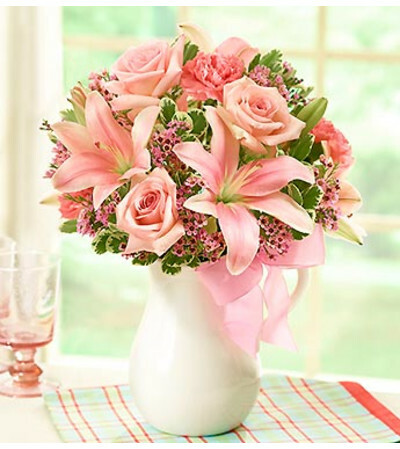 Designed to make any day sweeter, our florists have gathered stunning roses, lilies, carnations and waxflower in vibrant shades of pink. 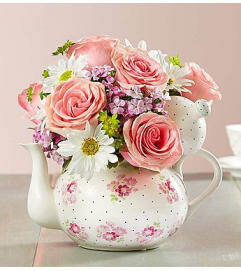 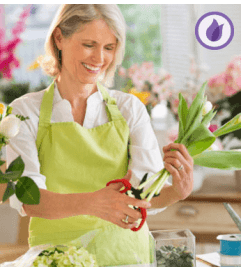 Hand-arranged in a reusable, food-safe ceramic pitcher and accented with pink satin ribbon, it’s a gift that serves up lasting smiles.